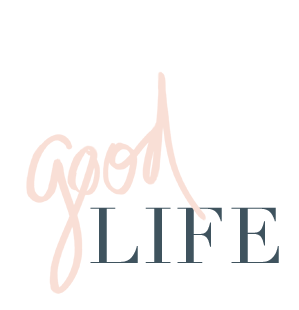 jillgg's good life (for less) | a west michigan style blog: my style resolutions for 2018 with Downy Wrinkle Releaser Plus! This post is sponsored by Downy Wrinkle Releaser Plus. All opinions are my own. I'm terrible at New Year's Resolutions... anyone else? I love starting the new year on a good note, but I'm never much for making or keeping to resolutions about diet, exercise, budgets or committing to "me time" - I'm usually at a loss of where to even begin! But I always love to take time to evaluate my closet this time of year. As I plan for a big end of the winter closet clean out and prepping my wardrobe for spring, I definitely have a clear idea about where I am going and what my goals are with my clothes for 2018. So when Downy Wrinkle Releaser Plus asked me to share my style resolutions for 2018, I knew that would be an easy task. Without further ado... here are a few of my style resolutions for 2018, maybe you can relate to a few of these? 1. Stick with what I know and love. I love to try new trends and in general try new things with my wardrobe, but usually they are a big flop for me. Then when I clean out my closet I get frustrated that I wasted money on something I knew was a risk but went for anyway. In 2018 I'm going to trust my gut... if I think something isn't right for me (even if it looks soooooo cute on a fellow blogger) I'm going to stay away. That doesn't mean there isn't room for fun, it's just a reminder to trust my instincts better when I shop and worry less about what looks cute on other gals, and more about what I love. 2. Embrace neutrals. I love neutrals, I just do. And while I am super inspired by gals that wear lots of colors and print, that's just not me. Sometimes I feel like a bad blogger or a boring blogger if I am wearing too many neutrals. But this is me folks! Neutrals and all! This year you are going to see a lot of neutrals on the blog, and I'm not even going to apologize in advance. It's happening! 3. 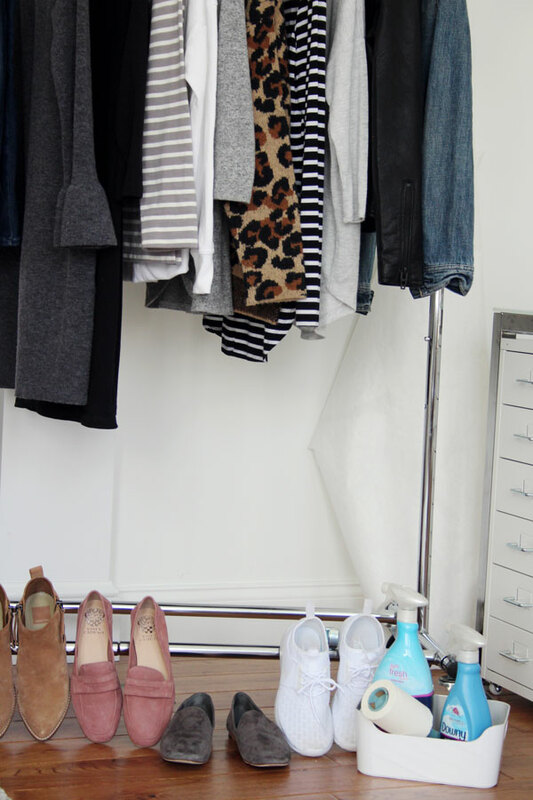 Organize my closet once and for all. Okay this one I say about 4 or 5 times a year. But this year I really mean it! Hopefully. Ever since we moved into this house a year and a half ago, I've never quite gotten my closet the way I want it... this year I'm hoping to rework it a bit and finally get it where I feel like I can find things easily and be inspired. Does anyone else struggle with this? I don't know exactly the steps I am going to need to take for this... but I've got it top on my priority list! 4. Make photoshoots as effortless as possible. As a blogger, photoshoots are often hectic and disorganized which makes them super stressful for me. And I only have myself to blame! This year I really want to resolve to be more organized before I shoot and during photoshoots. It never fails that I get to a location and realize there are wrinkles in my top or coat or scarf or that I forgot to bring something. It's so frustrating. 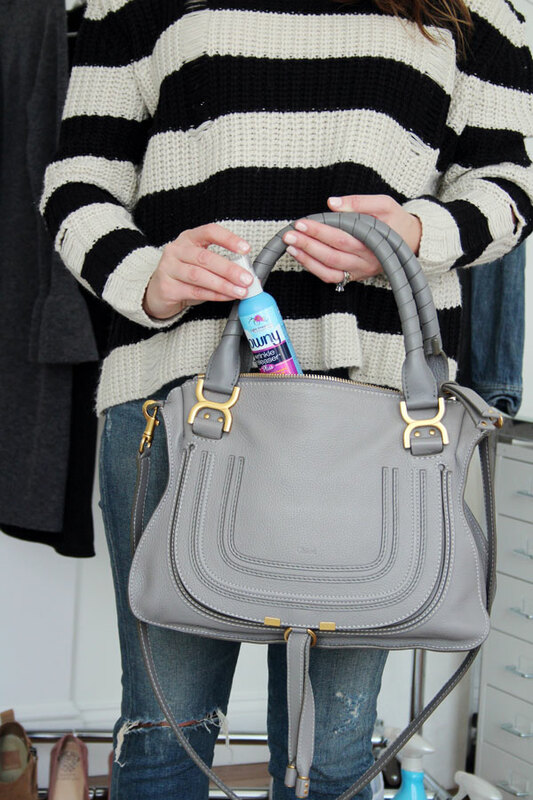 This year I'm laying out all my outfits in my office in advance, spot checking for wrinkles with my Downy Wrinkle Releaser Plus and then adding a travel size Downy Wrinkle Releaser Plus to my purse to have on hand during the photoshoot as well to make sure I am always looking my best. This Downy Wrinkle Releaser Plus smells so amazing! And I love that with a few easy sprays I can banish wrinkles and static (which is terrible this time of year) from my clothes for both everyday wear AND for those all important photoshoots. It's going to make my life a whole lot simpler (and wrinkle free) this year. What are some of your style resolutions for this year? I would love to know!